Bangalore: Malaysian tanker operator AET Tanker Holdings Sdn Bhd is finding it difficult to break the stranglehold that four domestic companies have on India’s coastal oil shipping business worth at least Rs1,000 crore a year. The country’s coastal trade (shipping cargo between locations along India’s territorial waters) is reserved for India-registered ships and foreign ships can be hired only when Indian ships are not available, and that too after permission from the Directorate General of Shipping (DGS), the country’s maritime regulator. The shipping ministry seems to be reluctant to allow global entrants to threaten their ascendancy. “We want to seal the coastline completely against foreign presence," said a shipping ministry official, who did not want to be named. The four companies declined to comment on the issue. Oil firms, looking for more choice, are critical of efforts to scuttle competition. “How long will this kind of tactic work?" asked an executive at state-owned Bharat Petroleum Corp. Ltd. “Competition is good for end-use customers because it reduces transportation costs." AET, the petroleum shipping arm of Malaysia’s state-run shipping firm MISC Bhd, wants to expand into India to take advantage of the increase in shipping in the world’s second fastest growing economy. 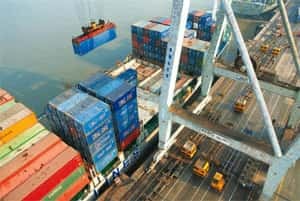 The company is the first to look at India seriously as a business destination after the country allowed 100% foreign direct investment in shipping in 2001. The Malaysian firm is ready to comply with local laws by opening a wholly owned subsidiary and registering at least six ships here before starting operations. It has named A.A. Mondal as head, commercial, of its Indian unit. Mondal is currently working in the shipping division of state-run oil refiner Indian Oil Corp. Ltd. The company hasn’t been able to gain registration for its petroleum product tanker, the 14-year-old Eagle Meerut, after having submitted the relevant documents to DGS a few months back. The vessel “has not been registered as an Indian ship so far", said an official at DGS who did not want to be named because he is not authorized to speak to the media. The official declined to discuss the reasons for the delay. Top domestic shipowners met Union shipping secretary A.P.V.N. Sarma a few days ago to lobby for tighter rules and protection from overseas competition in Indian waters. “The rules are not being applied strictly," said an executive at one of the top shipping firms, requesting anonymity. The shipping ministry, however, may retain some room for manoeuvre on coastal trade. “We need to have availability of adequate local fleet to cater to the requirements of India’s coastal trade," said the shipping ministry official cited earlier. “We are looking at the whole coastal trade regime afresh." With AET strictly adhering to the rules, the issue of technology could be a hurdle to the Malaysian firm’s entry, said an executive with a company that hires oil tankers to carry petroleum products along the coast. Single-hulled tankers, such as the Eagle Meerut, have to be replaced with double-hulled ones by December 2010 globally, according to rules framed by the International Maritime Organization, or IMO, the global maritime regulator. Double-hulled tankers have been mandated by IMO in an attempt to make the carriage of liquids such as oil safer. In the event of an accident, a double hull will prevent spillage and the consequent expensive and hazardous clean-ups. However, several maritime nations have framed their own rules, allowing single-hulled tankers to ply along their coasts carrying domestic cargo even after 2010. DGS has allowed single-hulled tankers to ply along the coast until 2015 or until the tankers reach 25 years of age, whichever comes earlier. Under this rule, the Eagle Meerut can operate in Indian waters until 2015. “The vessel currently being considered by DGS has been operated safely by AET for a number of years," Paul Lovell, head of corporate communications at AET, said in an emailed statement. Still, the ministry says that bringing single-hulled tankers into India will not be a “good idea". “It will be like dumping India with second-hand cars," the ministry official said.